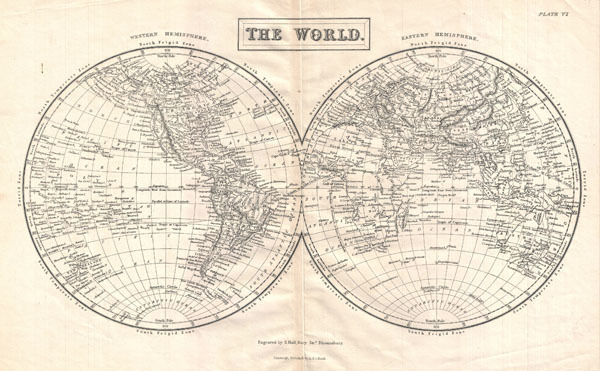 A highly detailed mis-19th century map of the World in Hemispheres Divided into the Western Hemisphere and Eastern Hemisphere, this map shows and labels islands, continents, major cities, oceans, capes, gulfs and mountains. Also shows latitudinal and longitudinal degrees and temperate, frigid, and torrent zones. Engraved by S. Hall and published by Adam and Charles Black.